If you are porting a number from another opperator, port requests are always free at Kitty Wireless. New activations and port-ins come with a free $2 Page Pus airtime credit. Plus, if you activate a new number on Page Plus, or port a number into Page Plus 3 PM EST Thursday Feb. 28, 2013, Kitty Wireless will give you a coupon code good for 25% off the first month of the $12.00 Plan or a 10% off the first month of the $29.95, $39.95 or $55.00 plans. The coupon MUST be used before 8pm EST on 02/28/2013. Activations are automated and normally take about 5 minutes. You will receive an email with programming instructions when your activation is complete. Port requests depend on the operator you are porting from and can take hours and occasionally days to complete. Kitty's automated services are available 22 hours a day (orders submitted between 11:30 PM EST and 1:30 AM EST will be processed after 1:30 AM). 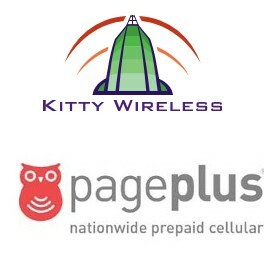 Click here: kittywireless.com/pageplus/freeactivation.html for free activations which come with $2.00 in Page Plus call credit good for 120 days. Click here: kittywireless.com/pageplus/freeport.html to port your number from another carrier to a new or existing Page Plus account. 0 comments to "Free Page Plus Activations and 10-25% Off First Month of Service at Kitty Wireless"